Are you looking for a wonderful shopping experience in Florida that your entire family can enjoy? It does not matter whether you are traveling to South Florida or Central Florida, you and your family will enjoy the unique shopping experience and all of the activities that are designed specifically round a family vacation. Bargains and deep discounts can be found in all corners of the state. Take a day or even a weekend and see why people are flocking to Florida’s malls. If you are starting your shopping experience in South Florida, why not begin the trip by visiting Lincoln Road Mall? This is an outdoor mall located in South Beach, and it is home not only to plenty of dining options, but also to several well-known brand stores. Athleta, Banana Republic and Gap are just some of the stores you can visit while you are in the area. After you have finished shopping, enjoy dinner dessert at one of the outdoor cafes. Are you looking for a more luxurious destination for family shopping? If so, be sure to stop at this outdoor mall. Located between Wynwood and Midtown, you can find a variety of stores including Cartier, Gucci, Hermes, Celine and Marc. Before you leave South Florida, travel to Coconut Grove and visit Coco Walk. This outdoor mall offers a unique shopping experience. It does not matter if you are looking for clothing or accessories from big retailers such as Old Navy, or if you want to purchase an eclectic piece of jewelry from a local boutique, this mall offers something for the entire family. You do not have to leave Coco Walk after you have finished shopping. Take some time to relax and enjoy a nice dinner and movie afterwards. 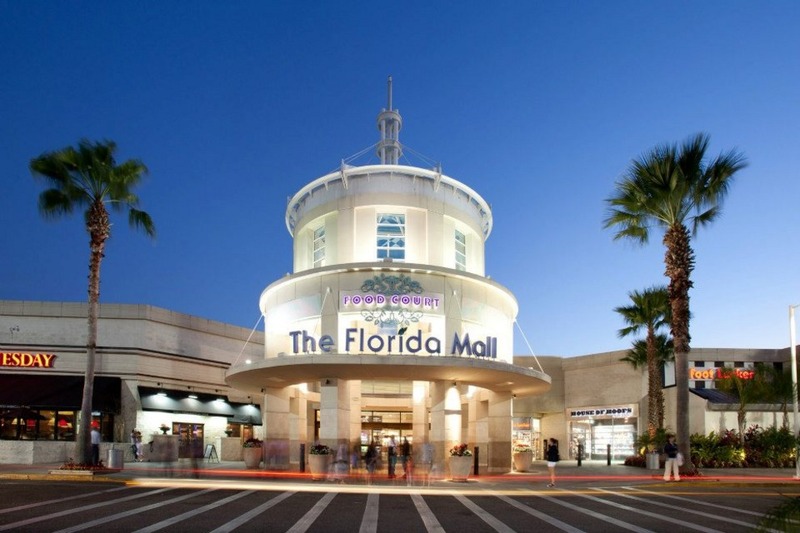 If you will be spending some time in Orlando, no trip would be complete without taking some time to shop at The Florida Mall .This is one of the largest retail spaces in Florida. In fact, it has been compared to being its own city. The mall offers shoppers almost 2 million square feet of shopping space. There is a huge selection of stores offering all types of fashion, especially for women and children. However, there is also a large selection of electronics, beauty supplies and health products. The mall is also an easy commute from Disney World, Orlando and Sea World. This outlet mall is part of the largest outlet chain in America. There are two of these malls in the Orlando area. These outlet malls are open until 11 pm 6 days a week, and there is a wide variety of big name retailers. There are many sports apparel retailers so you will have plenty of choices of outdoor wear apparel. These are just a few of the many malls and outlets that are located in Florida. They offer a safe, fun and exciting shopping experience for the entire family and offer the best quality products from national and local retailers at prices that suit the needs of all shoppers.